Maman (Mother) is a bronze, stainless steel, and marble sculpture by the late French artist Louise Bourgeois. 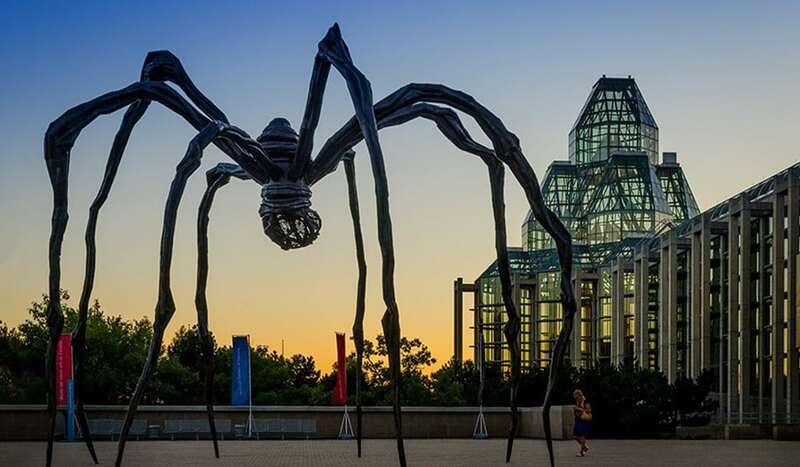 The sculpture, which depicts a spider, is one of the world’s largest measuring over 30 ft high and over 33 ft wide. It includes a sac containing 26 marble eggs.